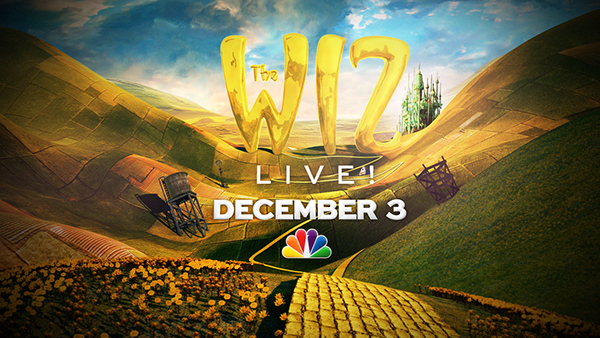 NBC aired the live musical event The Wiz Live! on December 3, 2015. Featuring the All-Star cast of Queen Latifah, Mary J. Blige, Common, David Alan Grier, Elijah Kelley, Ne-Yo, Amber Riley, Uzo Aduba, Stephanie Mills and introducing Shanice Williams as Dorothy, The Wiz Live! was a huge hit with both critics and the general audience alike. We had the opportunity to lead the creative process for a wide range of needs that proliferated in encompassing everything from On-Air Promotions to Digital Units and cross platform advertising. The amazing production design and costuming provided stunning elements to work with in creating the brand package. Undoubtedly, this was a vastly rewarding experience to work with a talented and committed team and see this high volume undertaking come to fruition and garner so much appreciation. We began developing concepts that would allow us to showcase the characters in the Land of Oz. Placing the four friends on the iconic Yellow Brick Road worked well in creating the perfect story bed, dynamically taking the viewer through Oz and keeping the fun narrative on track. Empirical Studio produced the live show's vibrant and fantastic production design. We designed and built our environments to tie into the look and feel set forth by the show.